Life Insurance of Corporation of India (LIC) was conducting its Examination for Assistant Administrative Officers (AAO) Post for 2015. Detailed syllabus and exam pattern for this examination was given below. 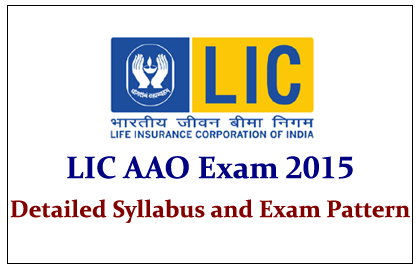 Life Insurance Corporation of India (LIC) AAO Exam 2015 will cover the following topics. General Terms of Banking and Insurance. In this section, question will be asked from the basis of the Chartered Accounts and its Functions.